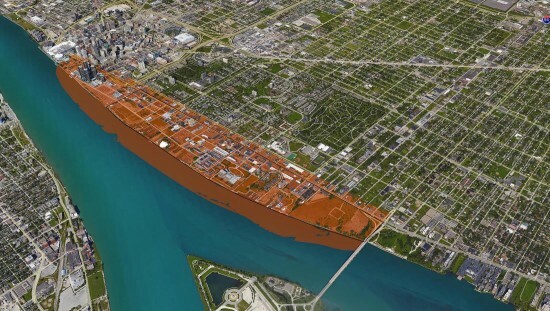 Skidmore Owings & Merrill have been selected by the Detroit RiverFront Conservancy and the City of Detroit Planning Department to develop a comprehensive plan for the city’s East Riverfront District. Early stages of planning will analyze of the area’s current building stock, pedestrian and car circulation, and land use patterns. 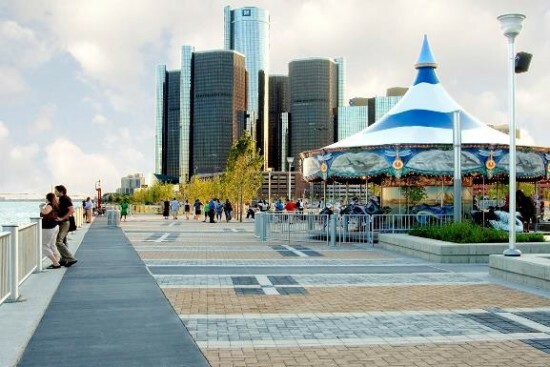 One of the main early concerns is addressing the link between the city and the river front, a mission championed by the Detroit RiverFront Conservancy for the past decade. Along with SOM, six Michigan firms—Birmingham, MI-based McIntosh Poris, Detroit-based Giffels Webster, Kraemer Design Group, AKT Peerless, Southfield, MI-Based Rich & Associates, and West Bloomfield, MI-Based E. Austell Associates—will provide local consulting. Landscape architect Michel Desvigne will also join SOM for the project. Additionally a “Creative Detroit Think Tank” will be set up by Mohsen Mostafavi, dean of the Harvard University Graduate School of Design. New York-based HR HR&A Advisors will provide real estate, economic development and energy efficiency expertise to the project. SOM was picked from a field of seven teams which presented initial proposals in late January. Those teams were led by New York-based BJH Advisors, Boston-based STOSS Landscape Urbanism, New York-based Partnership for Architecture and Urbanism (PAU), Chicago-based Gensler, and Boston-based Utile. The first public meeting for East Riverfront District plan will be held on April 12th from 6 to 8 p.m. at the Outdoor Adventure Center, 1801 Atwater Street, Detroit.